As reported in our last article, MWO World Championship tournament wrapped up last year to much fan fair at MechCon 2016. The team crowned best in the world was Empyreal, taking the championship with a stunning 81-0 record. We sat down to speak with one of the players of Empyreal, Nik “prtn_spz”, to learn about his journey from the cold wilds of St Petersburg Russia to the slightly less cold winner’s circle at MechCon in Vancouver Canada. (Sarna) Sean: How about to start off we get a little about yourself? So who are you? prtn_spz: Well, my real name is Nikita, or in short is Nik. I’m living in St. Petersburg. And yes, I’m a BattleTech fan. Been playing BattleTech games a lot and been reading books as well. So that’s how I came to MechWarrior Online. And, yeah, I set up with this game and met lots of friends, and that’s how I practice my English. It’s not perfect though, unfortunately. Sean: It’s pretty good to me. prtn_spz: Well, that’s good to hear. Sean: So because it’s sarna.net we’re all giant BattleTech fans. What else besides MechWarrior Online have you played in the past? prtn_spz: I played MechWarrior 4: Mercenaries as well as MechWarrior 3. I also used to play MechCommander, not for so long. So my main games were MechWarrior 4 and 3. I played MechWarrior 4 the most. Sean: How’d you come up with the name “Proton”? Or the shortened form that I tried to track you down with, prtN_spz? prtn_spz: Yeah, that’s a long story, to be honest. It used to be a long name when I played with my brother. I played other games like Battlefield, and the end of my name is ‘spz’, so it’s kinda like Spetsnaz. I don’t know why, but I just liked the word itself, proton. Like pro-ton? So and that’s how I came up with Proton, because prtN is a short of proton. Everything that MechWarrior needs! Sean: And how long have you been playing “MechWarrior Online”? prtn_spz: I’ve been playing it since closed beta, so it’s four years. Literally, [since] the time the game existed. So once it went open in the closed beta, I started to play it and I played it non-stop. Sean: Wow. When did you get into competitive play? prtn_spz: My competitive story started with a unit called Lords. Like, most of the Empyreal teammates, they’ve been in Lords, but after some story most of the people left because some people didn’t want to play competitive and some really wanted to. And those who wanted to, we formed Empyreal. We’ve been together two years, and after playing World Championship we literally became all real-life friends. Sean: So you guys were all just part of Lords previously, and then you all just went to Empyreal? prtn_spz: The…how do you say it…the former players of Lords, they made Empyreal and then we invited some players. So let’s say it’s like half people is ex-Lords and half people are the new players that we invited to join Empyreal. Sean: Now for some general ‘Mech related questions. What is your favorite ‘Mechs? prtn_spz: A lot of people have been asking me [this question]. I like lots of ‘Mechs. I don’t say I have my favorite ‘Mechs, but I used to play Gargoyle a lot, and I really like it. I’m not a fan of laser boats, but the build I’m running on [my] Gargoyle is basically a laser boat–six medium lasers, six small lasers–and I’ve been having lots of fun with it. I could say, like, the most fun that I’ve ever had in any ‘Mechs in the game. So Gargoyle is my best MechWarrior Online ‘Mech. Sean: And in the larger universe? prtn_spz: I really liked the Fafnir, of course. Heavy gauss rifles. I’m Russian, I’m a fan of big weapons! 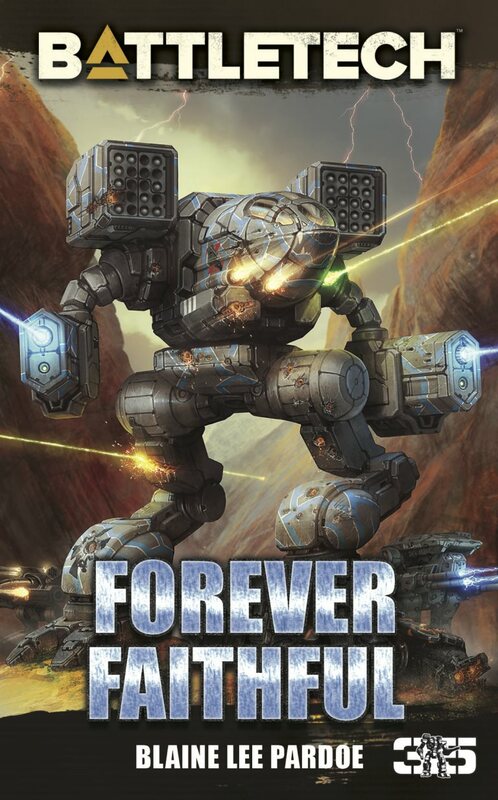 So Fafnir I would say [is] the ‘Mech I really, really like in BattleTech. And probably the Devastator. Sean: Devastator! Another great choice. So you’re kind of an assault man at heart? prtn_spz: Yes, yes. In Empyreal, in our unit, I’m specifically focused on assault ‘Mechs. But people have been saying that I’m good in everything. Sean: I think that’s true, since the games that I have seen you play, you seem to play a mix of ‘Mechs. I’ve seen you play some assault games, and then I’ve seen you just run around in an Arctic Cheetah as well. prtn_spz: Yeah, yeah. Because every player – every competitive player especially – he needs to have a variety of ‘Mechs. Because when you play a specific ‘Mechs, like only one for example, let’s say Dire Wolf or Kodiak, lots of the time and you’re not switching to anything else. Your gameplay, it becomes stagnant. And just playing only one ‘Mechs you literally will not improve your situational awareness or skills or something. Like, if you’re doing something you have to switch to something else for a while to refresh yourself, right? So basically the same as MechWarrior Online. Sean: So you’d have the most fun playing assault ‘Mechs, but you keep yourself sharp by playing the lights and the mediums? Sean: Alright. What is your favorite “MechWarrior Online” map? prtn_spz: I think it’s HPG Manifold, even though we didn’t play it on World Championship, which is sad. No one picked it, but yeah; I think it’s the most balanced map in the game right now because both of the sides have the same…how do I say…the same range, the same way to approach the center of the map. Because all the engagements are happening in the center of the map, no matter which game mode you play. And yeah, I think it’s the most balanced map, and it looks nice. I like space battles. Sean: Personally, I prefer the light and medium ‘Mechs. 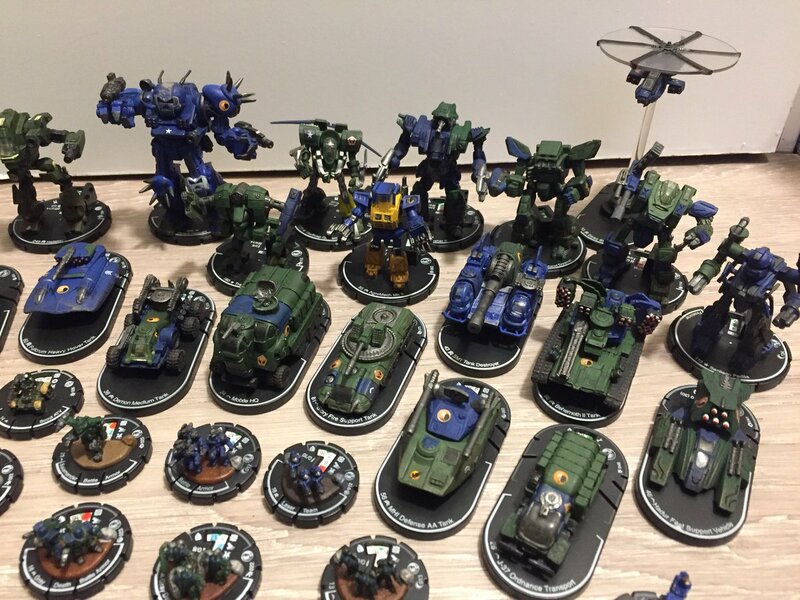 If you’re a light or medium ‘Mechs player, what kind of ‘Mechs do you think are best in class? 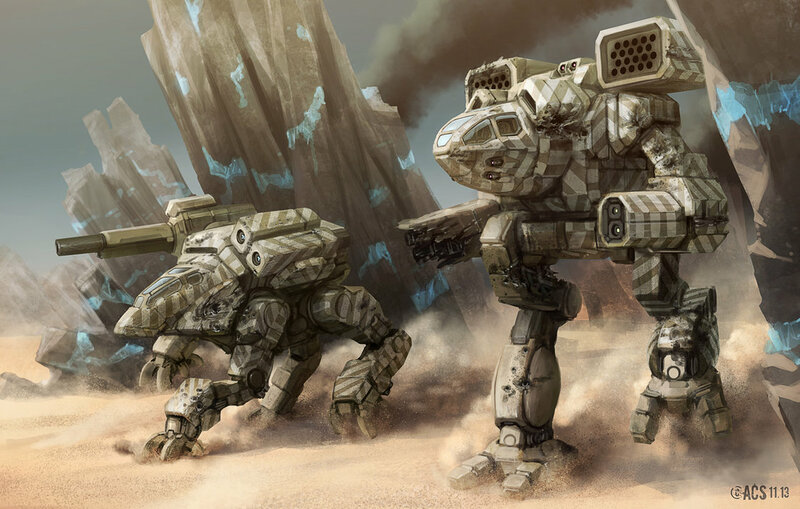 prtn_spz: As for the light ‘Mechs, right now I would say it’s either Jenner IIC or Arctic Cheetah because a light ‘Mechs needs to be not just only the scout but a harass ‘Mechs. They have to flank your enemy, harass them, make them distracted while your main force get in position or start to push to this or that side, you know? 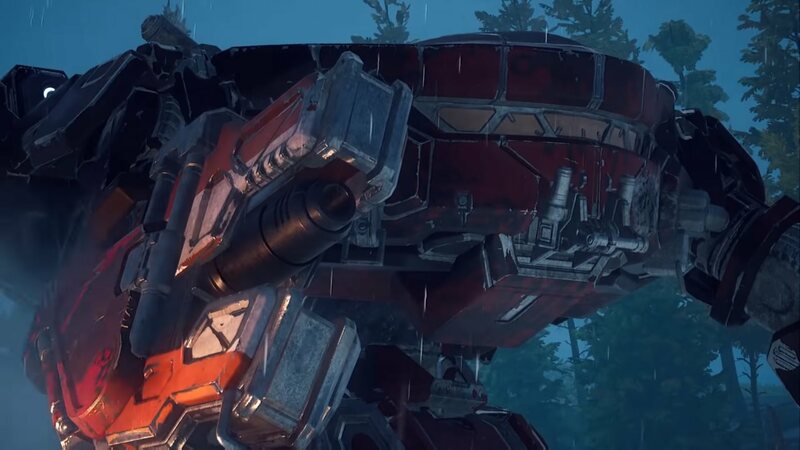 And as for the medium ‘Mechs, for Clan ‘Mechs it’s Hunchback IIC because it’s fast enough, it’s pretty much tank-y, it can boat anything you want from laser boats to ballistic dakka boats, like four UAC-2. Hunchback is really good for early engagement, for harassment at medium-long range. And as for the brawl, and really fast flanking and damage dealer, I would say it’s Griffin 2N. Well, Griffins in general, but the most is Griffin 2N, 3M, because missile boats, SRM-6’s, get close, really heavy punch if you land your shot pretty accurately. So yeah, those are the main medium ‘Mechs right now. Sean: Alright, well I’ve got Griffins, so I’ll have to focus a little bit more on my Griffin play. If you could give, like, any one tip to a brand-new MechWarrior Online player, what would it be? prtn_spz: Don’t get frustrated if something goes not as you expected. You need to be patient, you need to learn because the game has a long learning curve. You can’t just install the game and be good, like, if you have FPS game experience, because MechWarrior Online is something different. It’s not just an FPS shooter, even though sometimes it feels like it. You can’t win by just shooting. It also [relies] on the ‘Mechlab, and your positioning. So watch the other players that have been playing a lot and are competitive players as well that are streaming a lot, and learn from them, and learn yourself. You’re making mistakes, you learn from them because that’s how I learned. Even though I’m not considering myself as a professional player. I just had a lot of hours in the game. Sean: I really like to think that you’re kind of a professional player if you won a World Championship, but maybe that’s just me. Speaking of that World Championship, let’s get on to how this whole World Championship thing went down. So in terms of training for this tournament, what did you do? prtn_spz: That’s actually a really interesting story. When the World Championship was announced, we, like, from the start decided to take part in it because we took part in First Engagement with House of Lords, you may know that. We were successful, we won this tournament, so why not do it again? Because we’ve been playing a lot, we know the game, and we decided to sign up and then…how much…it’s like five or six months of practice started. We were getting up almost every week, except like a few days when we were taking a break. First of all, we had a look at which maps are gonna be picked according to the rules. It’s a ban system so both captains of the teams, they ban maps and there’s just a few maps left that are going to be played, one map, I think. Yes one map. So it was a pretty easy guess because pretty much the only maps that people know how to play and are easy to play […] and actually were balanced, so we banned maps that have balance issues. So it’s Tourmaline that is left, Canyon Network that is left, and, like HPG. So we play those maps, and that’s how we started. So we focused on these maps that I named, most of the time, and of course we practiced the other maps just in case if something happens. If someone’s gonna pick the…like, ban Canyon Network and there’s gonna leave, like Polar Highlands, for example. So yeah, and we were practicing almost every day. And the only problem there for me is I am Russian, and the practices were in the early morning for me, like 5:00 or 6:00 a.m. So it was a really hard time for me to, you know, make those practices because I had been working as well. Sean: Yeah, that’s fair. I don’t think anybody’s been able to turn pro MechWarrior playing into a full-time job. Maybe in the future, hopefully. Sean: I have seen quite a few of the games for Empyreal. Your record for Empyreal was 81-0, and to me, that’s just insane. So was there, like…did you even experience a challenge at any point, or were you guys just an unstoppable force? prtn_spz: Well as for me, I can’t talk about other…my teammates, but I felt yes. There was always a challenge for me because it’s my first World Championship, and you have to take the game seriously. So I think my friends, my teammates were taking it too, but I think we just…because we were practicing a lot, it looked like it was one-sided mostly and it was easy for us, but I would say it’s not really because we spend a lot of time practicing, and we got rewarded for that. Sean: Did you feel like the finals in Vancouver were at least a little bit more challenging? prtn_spz: They definitely were, like, a lot more challenging because we were facing one of the…actually the best unit in the European region is EON Synergy. I know those guys. I know how they played, like their gameplay style, and they literally had the same skill level as us. So yeah, that was, like, one of the hardest games we played. And yes, we did lose one game against them on Canyon Network. I can’t remember if it the semi-final or was it the final, to be honest. I think it was the final. And it was a Conquest…actually no. No, we didn’t lose I think because it was a Conquest…they killed all of us, but we won by the cap points think. Honestly, I can’t remember, but I think that’s what happened because I was the last one alive in the Kodiak against a Spider and Summoner, and I remember instead of engagement I just tried to win some time to cap points. And I think we won that by caps. prtn_spz: Yeah, they killed me, unfortunately. I wanted to survive, but I tried to win as much time as I could. Sean: When you’re playing for time I’m usually expecting to have, like, a Spider just running around trying to get all the capture points. I don’t expect to see a giant Kodiak just walking around place to place. prtn_spz: Yeah, the Spider…I think the Spider that was fighting, he was legged. So he couldn’t move as fast. Sean: For the final tournament, did everybody in Empyreal get flown out to Vancouver and play there, or was it just streamed in Vancouver? prtn_spz: So like 12 players…we have 12 on roster but eight players could be flown by PGI, the developers, and 4 other guys they flew themselves.. And we just picked eight players for the main roster that’s gonna play in Vancouver. The players that performed the best in practices and in regional finals, well mostly in every game before the regional finals. And we picked eight players and I was one of them. And people started working on their passports, and I personally started to work on my visa. And honestly, I have to say big thanks to PGI to opportunity to visit Canada, especially Vancouver. It was a great time. They sent, like, personal invites to the embassy so they could give you visa. They actually gave me visa for five years, so. The next tournament I can not worry about my visa, just buy tickets and fly to Vancouver. Sean: Well, we hope you can make your way back here. It would be lovely to have you back in the country again. prtn_spz: Yeah. Vancouver, it was like another world for me. It’s so beautiful, like, it felt like in the future. Everything was, like optimized…or how do I say that… my English is not that perfect, I’m sorry. It was like in the future. Sean: That’s okay, I know what you mean. I forgot to mention I’m actually Canadian although I’m not in Vancouver, I’m in Ontario so like the east coast. But the cool thing about Vancouver is, everybody says the same thing, it’s this wonderful futuristic city. In fact, in “Mass Effect 3” they used Vancouver as the template for the first scene in the game where Earth is getting attacked and they needed, like, a futuristic city to get blown up, and that city was Vancouver. prtn_spz: I did not know that, nice. It’s actually really awesome. Now I have to play “Mass Effect 3”. Sean: Oh, I think it’s not as good as “Mass Effect 2”, but it’s still worth picking up. prtn_spz: I only played the first one, I never got to the second or third, unfortunately, but I really liked the first one. Sean: First one was good. Two was the best. Alright, how was MechCon? Do you have any cool stories? Anything you’d like to share there? prtn_spz: First of all…I don’t know, like, what to start with. I really was impressed about the ballroom…commodore? I don’t know what people call it. prtn_spz: Yeah, where the whole MechCon was happening. It was a nice street, it was a nice building, nice interior. I dunno, like, it was really awesome to be there. I met lots of people that I’ve been playing in the game, met them in real life, talked to them. There was lots of great time. I met Russ Bullock, I met Paul Inouye, Tina of course. Yeah, lot’s of interesting people. I got to practice my English as well, and people have been saying I’ve been really, really good with it, hopefully. Sean: Yeah, I’d say your English is really, really good. Like, you can get by anywhere in Canada with what you’ve been speaking to me with, just letting you know. prtn_spz: I just wish we had more time because I spent only three days […] in Vancouver, but I wish I had a couple more days to go sightseeing in Vancouver. Would be nice. I had mostly been in the hotel room and some streets nearby, and in the common ballroom where the MechCon was happening. But I don’t really have anything to tell because my thoughts were all about the upcoming games. It was, like, making me exhausted. And yeah, I honestly before the finals, passed out there for like two hours or three, because I was really exhausted. I was really nervous. Sean: That leads me into my next question. How did it feel to be doing the finals? How did it feel beforehand when you just get there in Vancouver, and then leading up to your first match? prtn_spz: Me personally, my first match was really nervous. I don’t know if it looked like from the viewers. But my hands were shaking first time. And I’m looking at my teammates, and they’re all, like, really calm and focused, and I was like, “Why am I stressed?” And after the first game, I became calm as well. Just chill. Drank some water, and I was okay. Sean: So you drew strength from your teammates to kind of calm yourself down, get into the zone? Sean: Man, the support players, they’re the most important. Always help your supports. prtn_spz: Yeah, everyone was supporting each other, but those guys, they were doing an excellent job. Sean: And so you win your first match, you’re going into your second match, were you more confident in this one? Did things seem like they were really going well? prtn_spz: Yep, definitely. Because the matches went just like we expected before we came to Vancouver. Exactly like we expected because we were really confident in our gameplay. Got a little bit sloppy in the finals, but we took ourselves in the big hands…oh how do I say that? Sean: How did it feel, then, to get to that last round and you win? Like how did that feel? prtn_spz: The last round…after we won two matches and the last one we started to play against EON, honestly we already knew we won. I don’t know, it’s like…if it’s bad to say or not. We were just, like, really confident in our gameplay, and we were gonna win this. Especially when Eon just went all-in. They just rushed us, but we practiced…the Canyon Network was the map that we practiced most of the time, and we know every single strategy that any other team can pull out on this map. So we were ready for everything, and as you can seen on the recordings, that we answered to their move immediately. We positioned ourselves so we can have multiple angles on them while they are reaching their range to actually start shooting at us. So I think it went like 8-0 the last match. And after we killed the last ‘Mechs I personally, I just, like, couldn’t believe that everything is over because, you know, how much time we spent on practices. And I just sit on the chair for like two minutes stretching myself, and then we started to celebrate. Sean: And how did celebrations go? prtn_spz: We went on a…what’s it called…on a stage. And we were taking photos with Eon Synergy, with ourselves, like, my teammates. People were celebrating with us as well. And then time came for awards. So Russ Bullock and all the other PGI crew, they were giving us medals, every team. I honestly didn’t expect them to make the medals for us. Yeah, they gave us these really cool, really nice, heavy medals. And I just put it in…what’s it called, that you put the photos in? prtn_spz: Frame, yes. I put my medal in a frame, and right now it’s right in front of me. Sean: Awesome! Okay, well that pretty much is it for all the questions I had for you here. First of all, I want to thank you again for agreeing to sit down and talk to me this afternoon. Is there anything you’d like to add, or anything else you’d like to maybe plug? A YouTube or a Twitch channel, or any of the rest of your team? prtn_spz: I would love to put my…I guess my Twitch channel so people can learn the game. And I know like…honestly, like, I have to say thanks to you because I’ve been…how to say…Googling in Sarna about BattleTech a lot. I’ve been using the website a lot, and every time I have to find something about BattleTech, the first way I go is to Sarna. So thanks to you, and thank you for working on that website, and I really appreciate it. 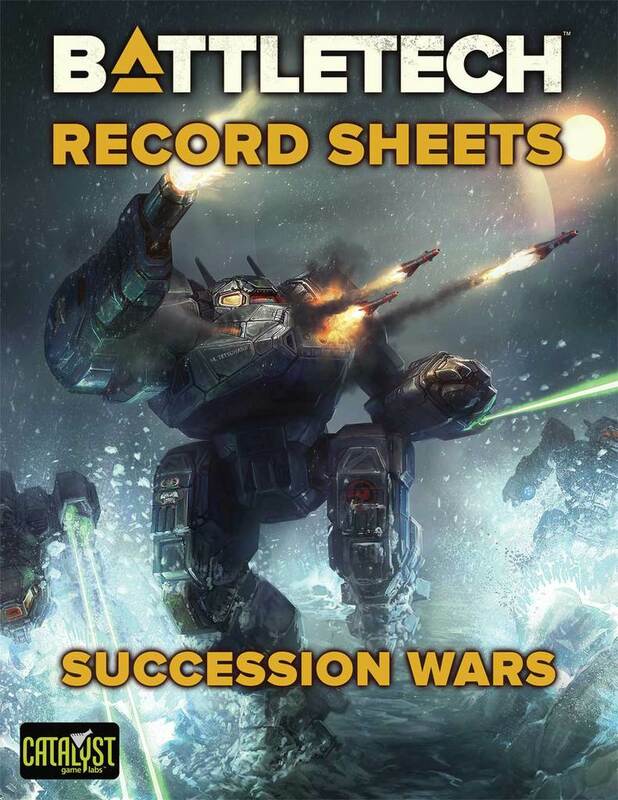 And I’m really excited to give this interview to you and be in the history in Sarna about “MechWarrior Online” competitive history, I would say. Sean: Well, you’re very welcome. Alright, Proton, you have yourself a great evening, and thanks again! 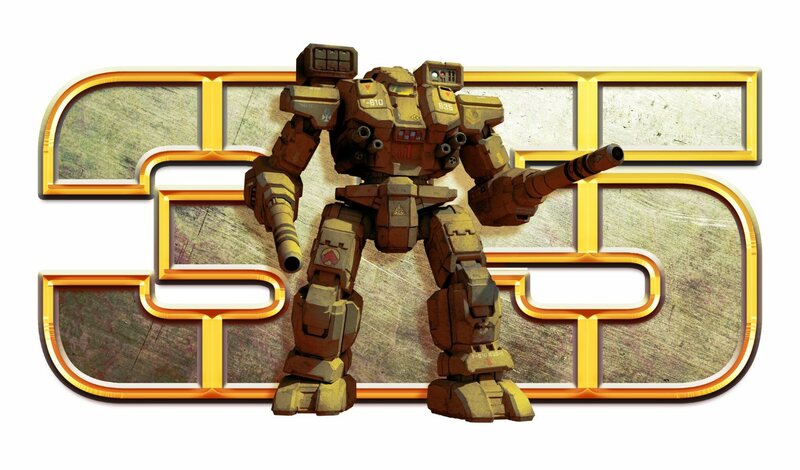 For more MechWarrior tips and hints, you can catch prtn_spz on his twitch channel here. This entry was posted in Community, MechWarrior Online, Video Games on 2017/03/01 by Sean.